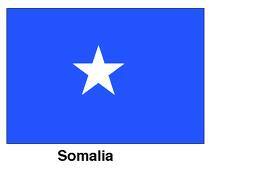 No one is expected to be a Christian in Somalia, so there is no organized church. Muslim converts exist as individual secret believers, and can only know a few others to make a small underground group. The largest known group is composed of five believers. For parents, it is dangerous to raise their children as Christians for fear of being discovered and executed. In September 2011, Islamic militants from al-Shabaab beheaded a 17-year-old Somali Christian near Mogadishu. The militants, who have vowed to rid Somalia of Christianity, killed Guled Jama Muktar on September 25 in his home near Deynile, about 20 kilometers (12 miles) from Mogadishu. The Islamic extremist group had been monitoring his family since the Christians arrived in Somalia from Kenya in 2008. The Islamic militants, who are fighting the transitional government for control of the country, knew from their observations of the family that they were Christians. “I personally know this family as Christians who used to have secret Bible meetings in their house,” said one source. Based on talks with the boy’s parents and their neighbors, the source said al Shabaab members arrived at Muktar’s home at 6 a.m., when his parents were already at work at their retail space at the Hamarweyne market on the outskirts of Mogadishu. Neighbors informed the parents of the murder, and they hurriedly returned home and buried their son’s body quickly, fearing the militants would kill them as well. They then fled to an unknown destination. For freedom for believers to worship and grow in their faith.